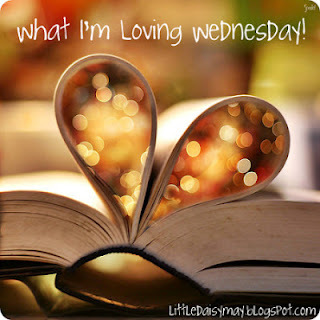 Today I am linking up with littledaisymay.blogspot.com for what I am loving Wednesday! I have seen other bloggers do these link up things, and so I figured out what they were (lol) and joined in the fun! :) Plus it can put a theme to a boring old update post. 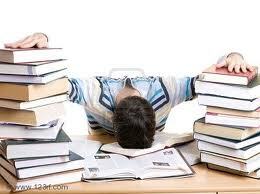 So what I am I loving this week? Bring on the music, the lights, the decor and the shopping! 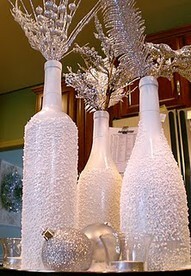 My favorite time of year is right around the corner and I am thrilled! Thanksgiving is just a prequel to the ultimate holiday of holidays. I feel pretty thankful most days, so I don't save it all for November. Does anyone else feel a little guilt towards Native American's on Thanksgiving? I am not even from European descent and I do! Either way, I am looking forward to eating an exorbinent amount of food with my loved ones next week, but then bring on the Christmas trees, weaths, cookies and parties! Sister Wives is returning 11/18! I have got to hand it to TLC. They know what I want to watch, and that happens to be every odd reality show they want to fling at me. 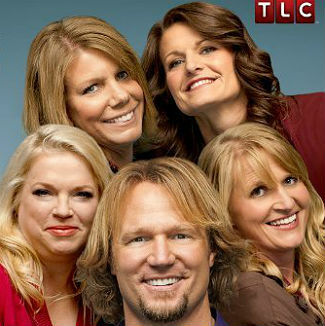 One of my favs is Sister Wives, and the next season is starting on Sunday!!! Have you seen the previews?? Is Jenel thinking of leaving? Is Robyn's past marriage screwing something up in their megafamily? What do you mean Madison doesn't want to be a poligamist when she grows up?! So many questions! It looks like there will be a lot of (fake) drama in the club this season, and I can't wait to comsume it all. Darn you TLC, quit making these ridiculous shows that I feel compelled to watch.